As a kid I always loved Lag Ba’omer. That was the day my Jewish day school would take us to Flushing Meadow Park to play ball and eat ice cream. We were told it was a time to celebrate because it was the day the many students of the sage Rabbi Akiva stopped dying in the terrible epidemic which took the lives of 24,000 of his beloved students. When I grew older, I also learned the day of Lag Ba’omer was also the yartzheit, the anniversary of the passing of another great sage, Rebbe Shimon Bar Yochai, credited with the authorship of the Zohar, the writings of Jewish mysticism. A contemporary scholar, Rabbi Pinchas Stolper, poses two questions: First, why do we have 33 days of mourning for the death of Rabbi Akiva’s students? The death of any single person is always tragic, certainly so many great scholars in one short period of time. However, the numbers just don’t add up. Unfortunately the number 24,000 cannot even compare to the far greater losses the Jewish people sustained during the Spanish Inquisition, the Crusades and certainly the Holocaust, all of which are commemorated and mourned by the community in one single day! The day of Tisha Ba’v is set aside to commemorate all those tragedies and more. Why does the death of Rabbi Akiva’s students merit 33 days of mourning? Second, the Talmud tells us that the reason Rabbi Akiva’s students died is because they failed to show proper respect to one other. If they died as some kind of Divine punishment than why are we to mourn for them? Apparently we are mourning something even greater than the passing of Rabbi Akiva’s students. To understand this we need some historical background: After the Romans destroyed the Second Temple in the year 70 C.E., they considered the Jewish people defeated. The Romans killed thousands of Jews and thousands more were sold as slaves and forced into exile. But even in defeat Jewish leaders struggled to rebuild Jewish life and were so successful that that in 135 C.E. a great military leader, Bar Kosiba, organized a fighting force of 200,000 men with thousands more sympathizers. Rabbi Akiva, the leading rabbinic sage of the time, won over a majority of the rabbis and threw his support and that of his many students and followers behind Bar Kosiba and his revolt. Rabbi Akiva renamed Bar-Kosiba “Bar-Kochva” in fulfillment of the Messianic biblical prophecy: “a star (kochav) will go forth from Jacob”, declaring him the Messiah. The rebellion lasted for six years and, according to some historians, it grew to a 350,000 fighting force with both Jews and non-Jews participating. I really hope so, because in my mind, it’s the only real path to the messianic redemption. Zionism is the most important Jewish movement in the last few hundred years. But without the spirituality of Torah, I fear it will become like the other “ism’s” Jews have gotten behind, but which never stood the test of time. 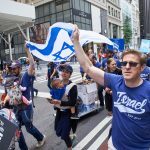 Only a Zionism suffused with Judaism can provide the kind of meaning young Jews today are searching for and only a Judaism which has Israel at its core will serve to unite all Jews. Redemption will only come when we work together. 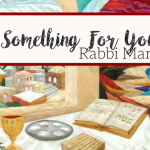 The post Lag Ba’omer: A Minor Holiday with Major Implications for Jews and Israel Today appeared first on Manhattan Jewish Experience.